The Blue Nile - Manchester 1991. This is The Blue Nile in concert back on the 13th September 1991 at the Free Trade Hall, Manchester, England. The band was formed in 1981 when Paul Buchanan and his friend, Robert Bell, met Paul Joseph Moore after graduating from the University of Glasgow in the late 1970s. Although their individual degrees didn't reflect their future career wishes (English Literature, Electronics and Mathematics, respectively), their mutual friendship grew out of their shared interest in music, and they began writing and recording together. The music of The Blue Nile is built heavily on synthesizers and electronic instrumentation and percussion, although later works have featured acoustic guitar more prominently. The band have only produced four albums and large gaps between recording and touring has always been the norm for this band. Source: BBC FM radio broadcast. Set: Broadcast element of set. 2010FM - April Edition One. A slight change for this edition with all the music streamed at the bottom in one player. Details of each featured track are mentioned with each artist. 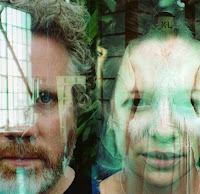 Hidden Shoal Recordings recently announced the release of the single ‘The Green’ by American ambient experimental pop duo Boxharp. For those new to the band, Boxharp are Scott Solter (producer/engineer for the likes of Spoon, The Mountain Goats and St. Vincent) and Wendy Allen (Tarentel and The Ballustrade Ensemble). The title track from their forthcoming album, ‘The Green’ sees Boxharp perhaps clarify what spacious astral pop sounds like. The song is a splendid and gentle presentation of quality pop with the multi-tracked vocals of Wendy Allen, ‘The Green’is a great introduction for the forthcoming album and has got Beehive Candy very interested in hearing more.